"Wake Up Its A beautiful Morning…"
"Men’s T-shirt Up-cycled Into A Ladies Vest And Scarf…"
I love the buttons! They are so fun! I love this beautiful picture, I love those original shoes! wow wow wow that's so cool! Those are really unique. 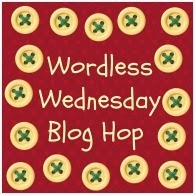 Very cool!Happy Wordless Wednesday! 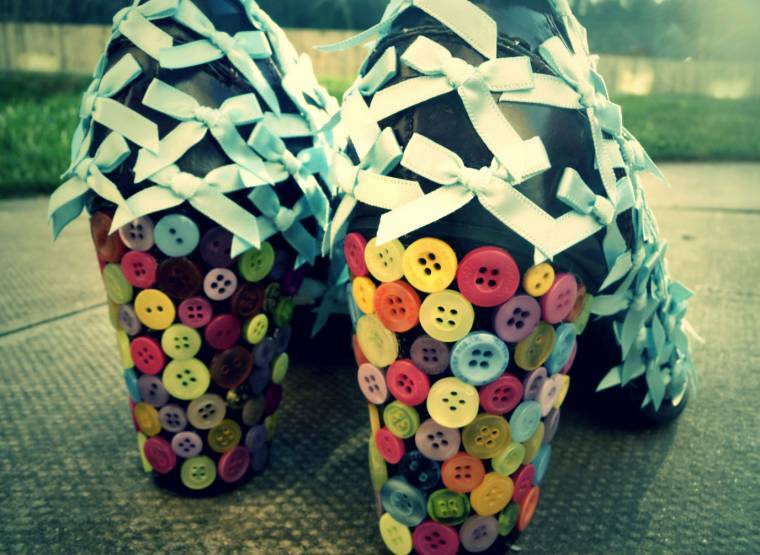 Love the funky shoes, all done up in buttons and bows. I think there's a song in there somewhere! Hi. 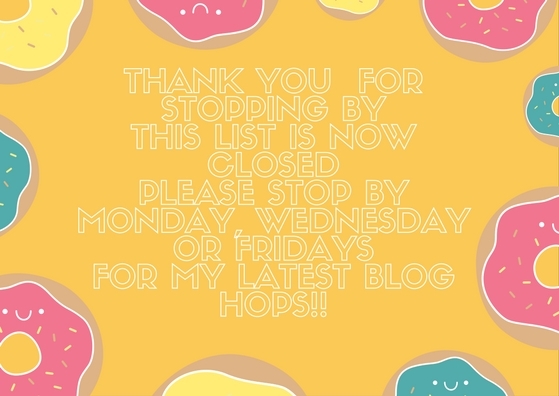 Thanks for visiting my blog 🙂 I was just wondering what wordless Wed. was about. Do you post just pictures or a blog post? Awesome shoes. My teen is really into shoes with bows, she would love these. Zuerst habe ich gar nicht erkannt, dass es sich da um schuhe handelt ! ;-))Cool.LGJuttaHabe heute mal auch einen Beitrag zu deiner Foto-Aktion verlinkt. Very creative! I especially love the buttons! Interesting…looks like something from a shoe museum. Wow Claire, what a lot of work went into decorating your shoes! I love the buttons and you will get noticed wearing your work of art! Enjoy wearing them and have a great day! You just put a smile on my face! Amazing !!!! how original !!!! love love love them!! !